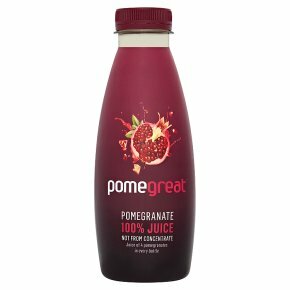 100% pure pomegranate juice.Not from concentrate.A delicious blend of two varieties of hand-cut pomegranates, gently pressed direct from the grower, to retain their delicate flavour and natural goodness.WE LOVE POMEGRANATES. Best served chilled. Shake before serving.